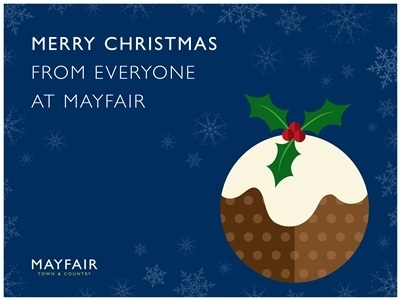 From the entire Mayfair Town & Country​ team. Denleigh, Mandy and the team from the Weston-super-Mare office did their bit in a festive knit for Christmas Jumper Day on Friday the 15th December. They made three batches of their own mince pies in a quest to take the title of Mince Pie Bake Off Champion in aid of the Save the Children charity. The public sampled each baker’s mince pie in exchange for a donation, and were to pick whether A, B or C was their favourite. 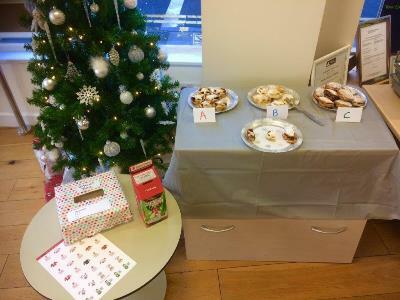 Once the votes came in it was confirmed that Mandy’s mince pies were the tastiest (as voted by you), and that through your kind donations the team raised just shy of £60 for Save the Children, so thank you! 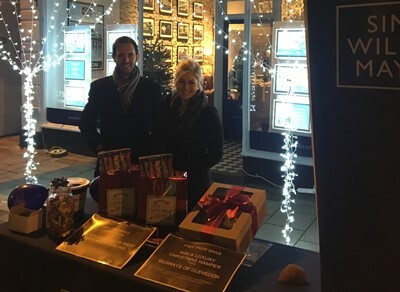 The Simon Williams Mayfair team had a wonderful evening at the St Nicholas Fayre on December 7th, which is held every Christmas on Hill Road, Clevedon. Our Clevedon branch opened late to welcome the public through their doors for mince pies, warming mulled wine and nibbles! We had 126 entries in total for our two competitions, which tested entrants’ knowledge of Clevedon for the chance to win a hamper from Murrays, and sweets and selection boxes for the children who gave the closest guess to the number of sweets in the jar! Chancellor Philip Hammond has today revealed in the Autumn budget that stamp duty will be abolished immediately for first-time buyers buying a home of up to £300,000. What this means is that for properties costing up to £500,000, no stamp duty will be paid on the first £300,000, with 95% of first-time buyers seeing stamp duty cut, while 80% will pay none at all. On 9th November a large number of people filled The Oak Tree Arena at Edithmead for a collective auction sale of properties which spanned from Weston-super-Mare to Bridgwater and Ilminster. 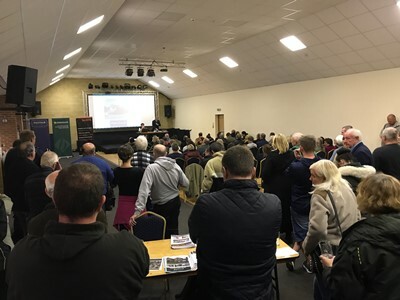 Covering areas throughout much of Somerset with lots from a number of local estate agents, this interesting sale drew a large crowd which packed the room to capacity.